look we have over 30 years experience as a Tamworth Herbalife independent distributor to help you get amazing results. I personally started on this QuickStart program way back in 1988 it’s very simple I just had my me replacement shakes twice a day a few supplements three times a day and I could still enjoy my favourite food for a main meal and really quickly my just noticed a big increase in energy and I start to feel healthier than I’ve ever felt before I quickly and easily lost 5 kilograms in four weeks and just I just think all this incredible energy was just amazing and I’ve easily kept my weight loss off for over 30 years my amazing weight loss and energy and health results got me very excited and I’ve got straight into the Herbalife business got me very motivated and was really easy to simply share my results as basically everyone wants to lose weight and feel and look healthier and since then I’ve helped over 10,000 people. these results are not typical individual results will vary. If you have any questions or need any assistance please simply call this mobile number 0414 742 905 will click the live chat button, or click the contact us button, or click the pink health assessment button, and we will quickly assist you with the best weight loss products for your goals. I’ll simply do a rundown of our most popular weight loss for you now to help you make a selection. We’ll start with the Shape Up program, it’s a three simple to use products you have the Formula 1 shake comes in five different mouthwatering flavours. I find from my 30 years in the business the two most popular flavours are the French vanilla and then the Dutch chocolate. You can add in fruit for infinite shake varieties for your shakes by adding different fruit and stuff. Simply click the shake recipes button you can see some great ideas for your shakes. You also get the Multivitamin Complex to help you with optimum health, and you also get the cellulose supplement to help you you know get rid of the excess fluid and to help you with inch loss. Next program is the QuickStart program you get the Formula One meal replacement shake, Multivitamin Complex, the cellulous supplement, you also get the Active Fibre Complex product and it’s a fibre product you add to your shakes to help you absorb the fat out of food. You also get the NRG energy supplement to help you with energy right through your days. Next program is the Advanced program with the Advanced program it’s the QuickStart program plus the Instant Herbal Beverage. The Instant Herbal Beverage is an exciting tea product you simply have in between your shakes ok, you can have a hot or cold, you can add milk and sugar, I personally have milk and honey tastes fantastic personally it gives me amazing quick energy. Next program is the Ultimate program, the Ultimate program is the QuickStart program plus the Instant Herbal Beverage, plus you get an extra two products to help your digestive system you get the Herbal Aloe Concentrate and the Probiotic Complex. Next program is the Protein Plus Starter Program, it’s a great simple program if you need any help with your appetite. You get the Formula one meal replacement shake, you get the protein powder which you add to your shakes, to help you with a to help you with a feeling of fullness all day long, and you get the Multivitamin Complex to help you with optimum health. 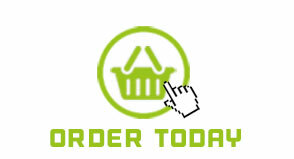 To order your products you can simply call this mobile number 0414 742 905 or if you’d like to order online simply click the shop near button and that one on any of our products and they will take you through to the upgraded I heard my shopping cart which is supreme-wellness.goherbalife.com the first thing to do when you get onto the Herbalife shopping cart is simply click the blue register – shop button that’ll get you registered so you can see the prices and do your ordering, and it’s very simple only takes a few seconds. From the shopping cart shop categories weight management your different categories here programs so whatever products you like simply add them to your cart. For payment it’s very simple you can pay by credit card, or debit card, or PayPal, or direct deposit, whatever’s best for you. You get a FREE super fast delivery usually next day delivery, to your front door, your work, or your P.O box whatever is best for you. If you need any assistance or if you have any questions at all please call simply call this mobile number 0414 742 905 or click the live chat button, or click the contact us button, or click the pink health assessment button.